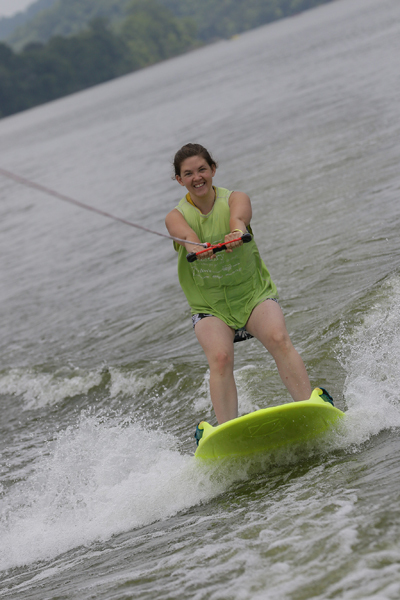 For several years, Mercy Multiplied has partnered with In His Wakes, an international ministry that combines people, water sports, and Jesus Christ. 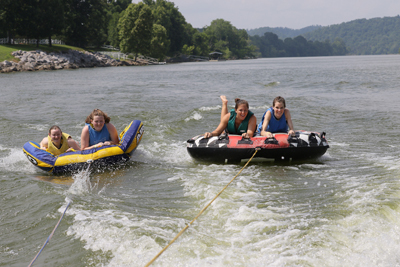 Last week, the Nashville Mercy residents experienced a special time of devotion and summer fun on the Cumberland River with the In His Wakes team. Through their “A Day to Remember” program, the In His Wakes staff helped the Mercy residents face their fears and gain confidence as they ventured to try all kinds of supervised water sports, such as swimming, boat riding, tubing, knee boarding, water skiing, and wake boarding. For many girls, just entering the water took patience and encouragement, but volunteers and staff created a bond of trust with the residents. 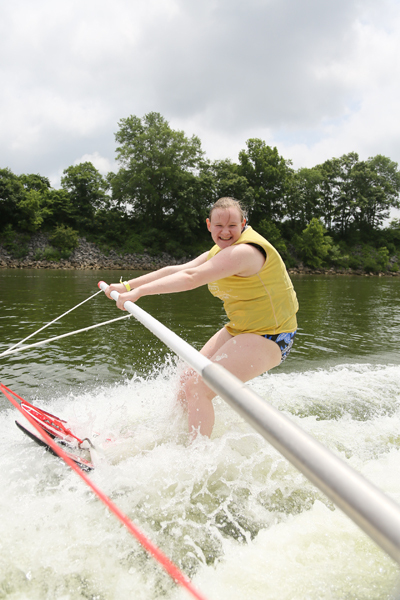 By the end of the day, girls were confidently skiing and wake boarding unassisted. Mercy residents not only had fun, but also learned perseverance. They were encouraged to try until they experienced victory in each activity. Each girl received praise for a job well done, and her confidence and self worth was boosted. The girls were also taught the valuable lesson of second chances as they were reminded of how God, like the boat, will always circle around to pick them up, no matter how hard the fall. “In His Wakes is one of my top three favorite days at Mercy,” said Mercy Nutrition and Fitness Manager Janelle Avery, who was among the Mercy staff that attended “A Day to Remember.” “The practical lessons Jesus shows the residents is always mind blowing to me. What In His Wakes represents to me, is allowing people to step into the unknown by faith and seeing that they can accomplish something they have never done before,” said Avery. 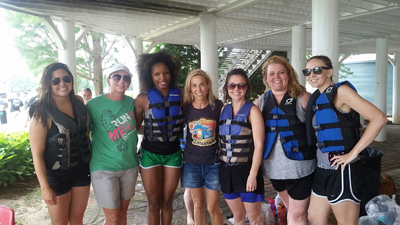 An extra special highlight of the river outing was unexpected guest, Sheryl Crow, invited by In His Wakes host and Warner Music Nashville Executive Vice President of A&R, Scott Hendricks. The Mercy group enjoyed getting to meet and make some waves with the nine-time Grammy Award winning singer/songwriter. After a full day of activities, the Mercy Multiplied group enjoyed a time of celebration and sharing personal victories and testimonies with the In His Wakes team. The day concluded with a worship service and gospel presentation. Mercy is thankful for In His Wakes ministry and the healing and joy they bring through their Christ-centered approach. Click here to learn how you or your organization can partner with Mercy and support young women as they break free from their life-controlling issues.